Leicester’s branch of the Indian Workers’ Association (IWA) discussed the issue of fake faith healers with Deputy Prime Minister Nick Clegg.According to them, con artists operate in the city by advertising their services in foreign language newspapers, distributing business cards through letterboxes and leaving them on car windscreens. 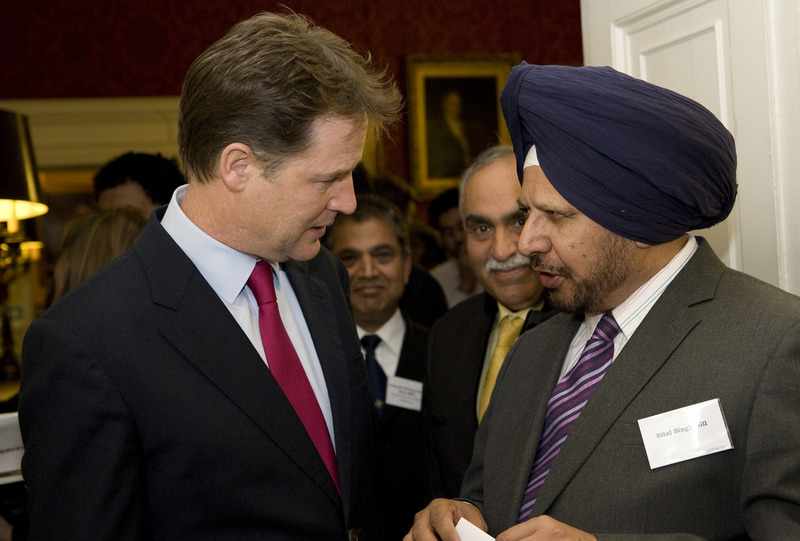 They claim to use the power of prayer to heal broken marriages, solve financial problems and even cure HIV or cancer.Sital Singh Gill, leader of the IWA in Leicester met Mr Clegg in London to explain that branches of the group across the country know of such cases. Mr. Gill told Mr. Clegg that many fake healers are based in the UK while others travel here on visitor visas and make huge sums of money before leaving.He said, “Ministers were surprised and shocked on hearing what was going on and agreed to look at the matter seriously and respond to the concerns raised by the IWA.“We will carry on our campaign against these criminals who are exploiting innocent British people.”He however revealed that police and Leicester’s trading standards officials were taking the issue “very seriously”.In September, Leicestershire Police claimed to have put together a team of officers to find out about the seriousness of the problem and ways of stopping it. Leading members of the city’s faith groups have fully backed the police campaign. Leicester City Council’s trading standards team monitors leaflets and business cards circulated by such tricksters. However, it receives only a small number of formal complaints. Manager Ron Ruddock said, “This type of scam preys on the most vulnerable people and will offer to cure diseases or to mend broken relationships. “Anyone with health problems should visit their GP and we would be very worried about people relying on a faith healer instead of proper medical care.